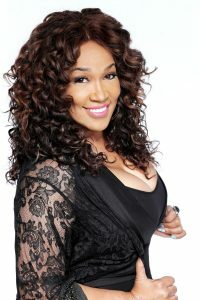 Kym Whitley is a comedian and actress. She is best known for her roles on television sitcoms, such as Animal Practice, The Boondocks, Young & Hungry and The Parkers. Whitley was nominated for a 2004 BET Comedy Award for Outstanding Supporting Actress in a Box Office Movie for her role as Ormandy in the 2003 comedy film Deliver Us From Eva. CLICK HERE for tickets to see Kym Whitley at the Comedy House! In 1989, Whitley got her big break starring in Shelly Garrett’s popular play Beauty Shop, which started in Los Angeles then later traveled across the U.S. Whitley’s major acting roles include the short-lived sitcoms My Brother and Me and Sparks. She made guest appearances on several television sitcoms, including The Parent ‘Hood, Married… with Children, Moesha, That’s So Raven, The Parkers and Curb Your Enthusiasm. She also hosted the short-lived BET show Oh Drama (2000). Whitley also had a small role in Next Friday as Craig’s aunt Suga. She was one of the group called “The Adults”, who were adult cast members in the earlier seasons of All That. In the early spring of 2010, Whitley was a co-host with R&B musician Brian McKnight on the short-lived talk show The Brian McKnight Show. From 2012 to 2013, Whitley had a recurring role on the BET comedy Let’s Stay Togetheras Charmaine Wax. Kym’s docu-series entitled Raising Whitley on the Oprah Winfrey Network premiered on April 20, 2013 with a total of 1.2 million viewers, making it the fifth most-widely viewed premiere in the history of the network. OWN ordered a second season, which premiered on January 4, 2014. Whitley joined the cast of the television sitcom Young & Hungry which premiered on ABC Family (now Freeform) in 2014, where she plays Josh’s housekeeper Yolanda. The show ran for five seasons, ending in 2018. In 2017, she guest starred in the web series The Bay where she played Big Candi. She received a Daytime Emmy Award nomination for Outstanding Supporting or Guest Actress in a Digital Daytime Drama Series. In 2018, she guest starred in the “Thanksgiving” episode of Master of None as Denise’s aunt Joyce, and sister to Angela Bassett’s character. The episode won an Emmy for Best Writing for Master of None’s actors Aziz Ansari and Lena Waithe.